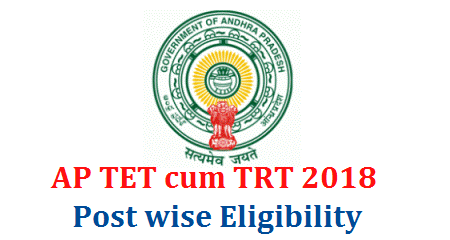 Must possess Intermediate Certificate issued by the Board of Intermediate Education, Andhra Pradesh or other equivalent certificates recognized by Board of Intermediate Education, Government of Andhra Pradesh. Must possess a Bachelors Degree with Botany and Zoology as optional subjects or one of the two as main and the other as subsidiary subject or any two of other allied subjects viz. Public Health / Human Genetics / Genetics / Bio-chemistry / Environment Sciences / Micro- biology / Bio-Technology / Industrial Micro-biology / Agriculture/ Food Technology/ Fisheries/ Nutrition/ geology / Sericulture / Horticulture / Forestry / Poultry and a B.Ed. Degree with Biological Science / Natural Sciences / Science / Botany / Zoology/ as a methodology subject. /Economics as a methodology subject.